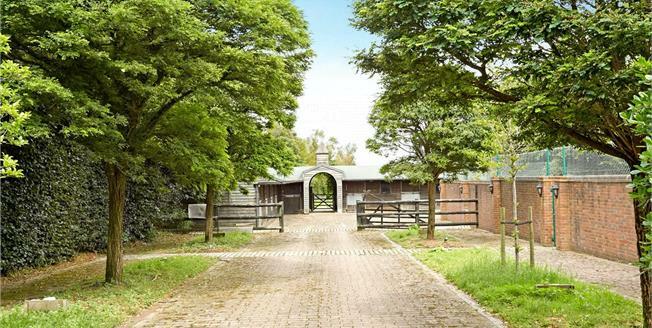 EQUESTRIAN - A rare opportunity to acquire a small country estate with delightful rural surroundings. The property is approached via wrought iron double opening gates that lead on to a long driveway that splits into two with one section sweeping around in front of the house and leading to one of the double garages. The other section runs around to the side where there is another double garage, plenty of parking and the stable block.